In 2012, the young musicians travelled to Washington D.C., where they performed with the Peabody Institute ensemble. The 2013 season closed with a highly successful concert tour of Cuba. In 2014, Stellae Boreales had the honour of being invited to participate as featured performers at the Suzuki Association of the Americas Conference in Minneapolis. 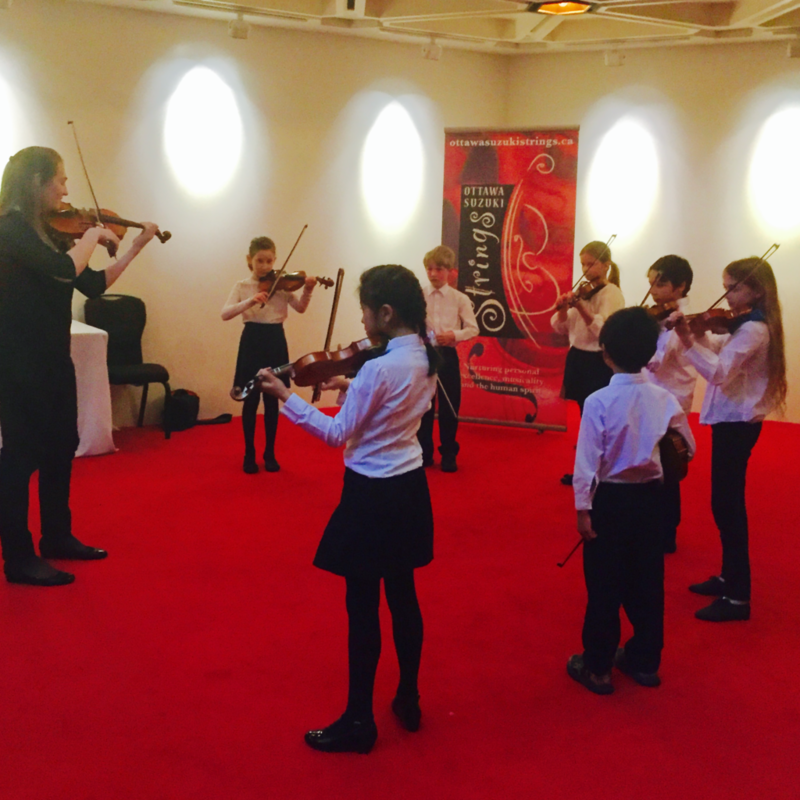 Ottawa Suzuki Strings’ advanced violin performance group, Stellae Boreales, was founded in 2004 by Rosemarie Klimasko to provide a continuum of opportunities for the school’s most advanced and committed musicians. Musicianship development is core to the program, and activities for both social and musical growth are provided as part of the group’s annual calendar. For many years, Rosemarie was a professional freelance violinist in Toronto. She played for eleven years with the Pro Arte String Orchestra, and was a member of the Palm Court violin/flute/piano trio for several years. In 1986, she moved to Ottawa, and co-founded SuzukiMusic. Her active schedule includes teaching a large class of private students, teaching group classes, and conducting a youth orchestra for the National Capital Music Academy. Her career has seen many of her students achieve distinguished music awards at local, provincial and national levels, several moving on to prestigious music schools, both in Canada and the United States. She has been a clinician at several Suzuki and CAMMAC camps and has adjudicated at Kiwanis Music Festivals in Ontario. Rosemarie is based in the Nepean/Barrhaven area of Ottawa and is very fond of her feline companion. END OF YEAR PLAYDOWN/POTLUCK – BRING A FRIEND!